This month I’ve taken on the ridiculous challenge of NaNoWriMo. 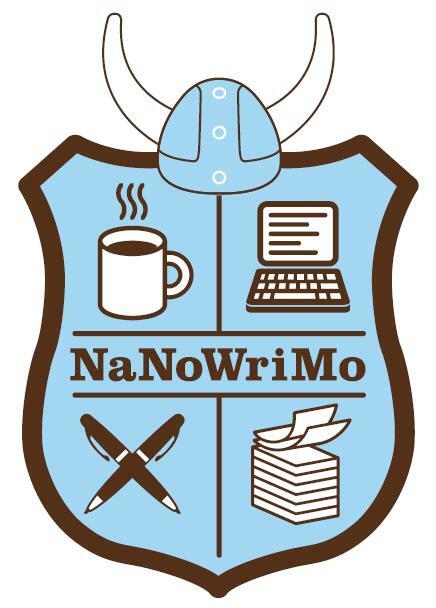 For those of you who don’t know what that means, it stands for National Novel Writing Month (http://www.nanowrimo.org). I’ve known about this idea for a few years now, and have even known people who have attempted to do it. It’s basically a commitment a writer makes to herself that she will write 50,000 words in one month, November. This idea seemed absolutely terrifying to me because I write short stories. I have the discipline of a short story writer. I’m a sprinter, not a marathon runner. Because it terrified me, I knew I had to try it. Now that I have to factor writing 50,000 words into my school/work/social life, the biggest concept that keeps popping into my mind is discipline. Having a deadline certainly helps. Knowing that I made a promise to myself (and all the people I blabbed to about trying this) means that by November 30th, I need to have written 50,000 words. Deadlines work because they give you a clear end. There is less wiggle room for procrastination if you know exactly when you are supposed to be finished. Another thing that helps: rewards. I went to a reading by Jess Walter once and he said he gets up every morning at around five to start writing. The night before, his wife leaves a cookie out for him. He knows in the morning that when he writes, he’ll have earned a cookie and a latte. This pavlovian training appears to have worked for him. For me, the reward will be a celebration party on December 1st. I’ve already started buying the alcohol and sent out the invitations. Now that the party is out there, waiting on the horizon, I have something to look forward to, something to get me through stretches of writer’s block. The final thing I’m incorporating into my NaNoWriMo experience is a bit unorthodox. I read a few years back about a group of people trying a social experiment wherein they only wore six items of clothing for a month. Participants in the experiment had different reasons: some simply wanted to see if they could, some wanted to help curb materialism, etc. I’ve always been fascinated by this concept. I’m a definite clotheshorse, and I spend too much time worrying about my wardrobe. So I figured, what better time than this month to try it out. For the record, the six items of clothing don’t include pajamas, coats, or workout clothes. My wardrobe this month: two pairs of pants, one dress, and three tops. By removing silly distractions like clothing choices, I can clear my head to focus on the main goal of this month, writing 50,000 words, and the lifetime goal of mastering discipline. I realize clothes don’t have much of anything to do with writing, but the point is writers have to try new things. You have to figure out new ways to discipline yourself. You have to be open to creative ways to fight writer’s block. You even have to be willing to take on seemingly insurmountable challenges like NaNoWriMo. Because if you don’t, you won’t grow as a writer. And if you don’t grow, you’re stuck, and stuck people tend to give up. That would be a great loss to give up on writing. If wearing the same jeans for a month and cutting down on my television watching time means I can refocus as a writer, I’m ready to make the sacrifices. Love the idea of wearing only six articles of clothing. Just one more thing to add motivation. I’m doing NaNo as well, and I’m looking for all the motivation I can get. Good luck! Good luck to you too. I was at Powell’s the other day writing with another NaNoWriMo participant. I asked him if he thought it was a good idea to try and write the whole story in order. He said that for the sake of NaNoWriMo you should write any scene in the book you want, as long as it interests you and gets the word count going. I thought this was good advice. Happy writing!